LED lights, when used correctly, are an assured way to spice up the dullest and most dreary places. This fantastic overhauled wine-cellar we had the pleasure to spot lately just proves the awesomeness of LEDs! 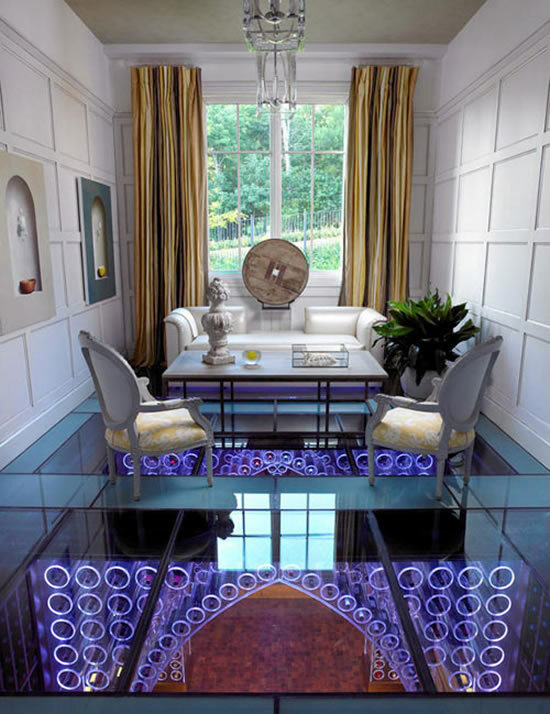 By interior designer Jamie Beckwith, this wine cellar in Franklin, Tennessee, is nestled below the home of the designer. 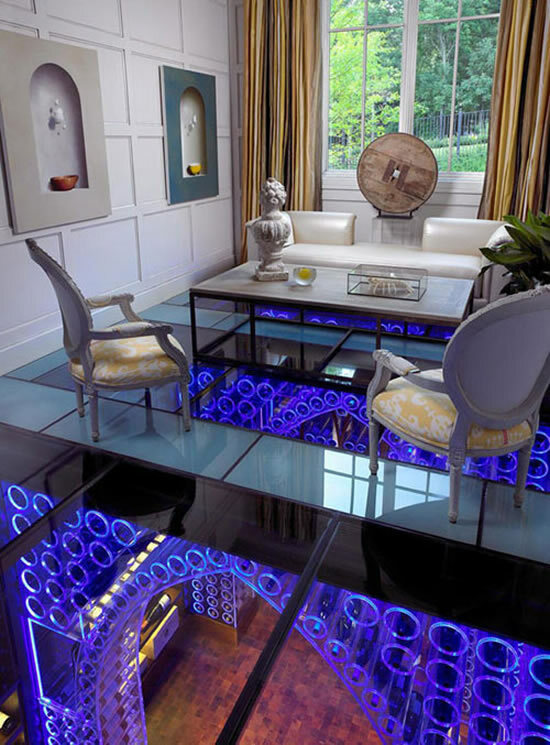 The cellar is visible from the home’s living space, owing to its glass ceiling. 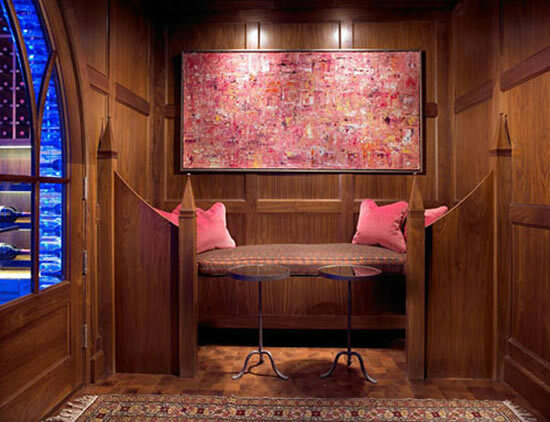 Complete with well-lit arches and a high-tech feel given to a wine-cellar like never before, this is indeed a beautiful and extremely eye-catching addition to Beckwith’s home. 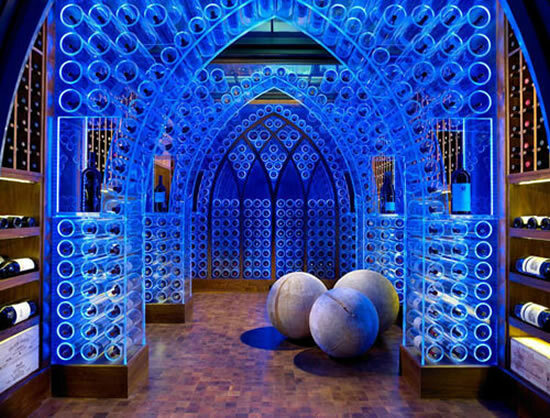 Also, the house is currently on the market for a whopping $6 million and includes seven bedrooms and ten bathrooms, besides this high-tech wine cellar!